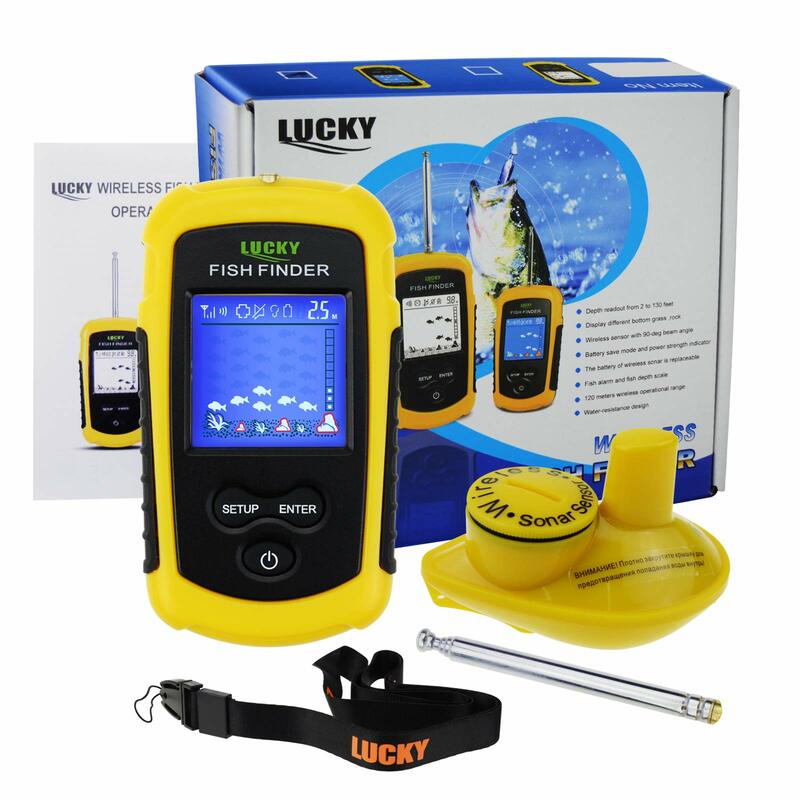 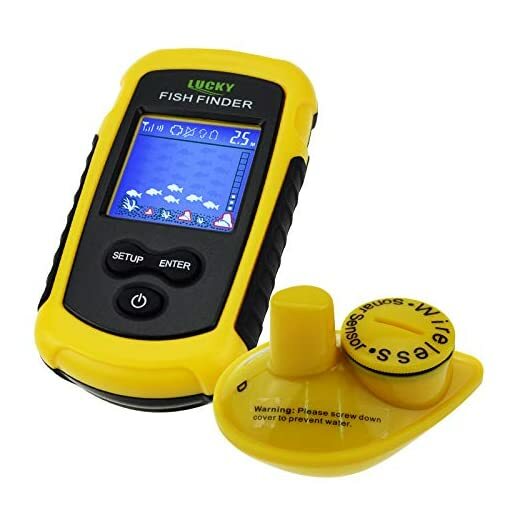 The Lucky FFCW1108-1 Fish Finder with the Wireless Sensor covers a wireless range of 120m (393ft) and a depth range of 45m (147ft). Know the depth of a reservoir, fish location in depth and water temperature! 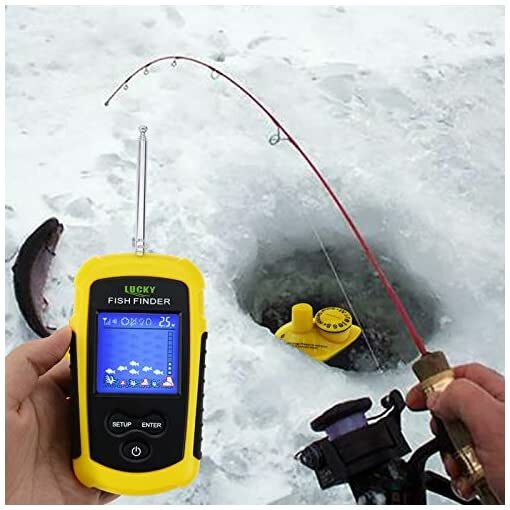 Ideal for NIGHT & DAY FISHING. 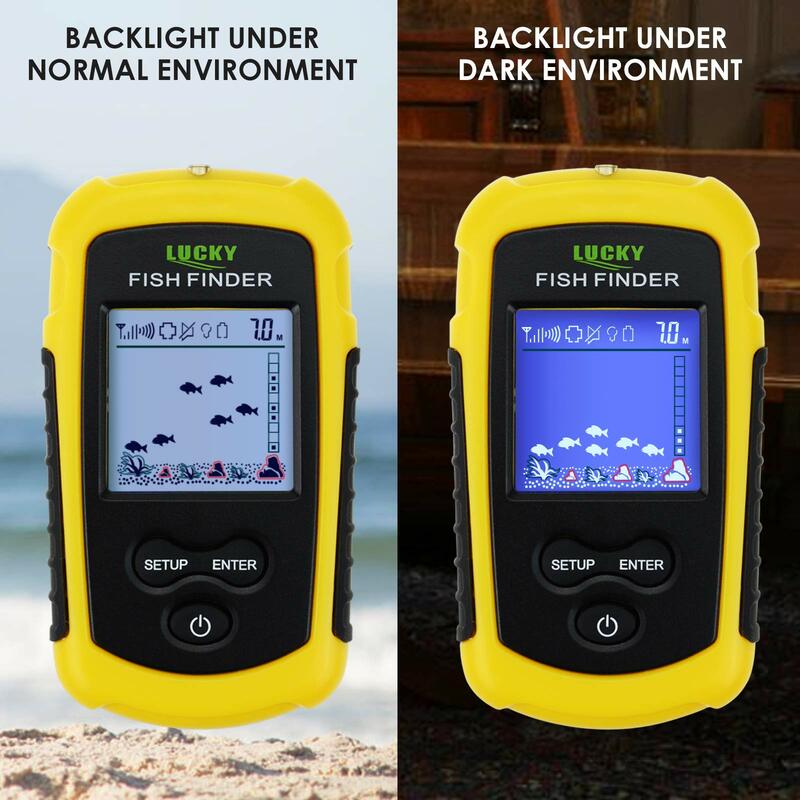 In dark environment, the backlight brings fluorescent effect on the fish icons and bottom structure. 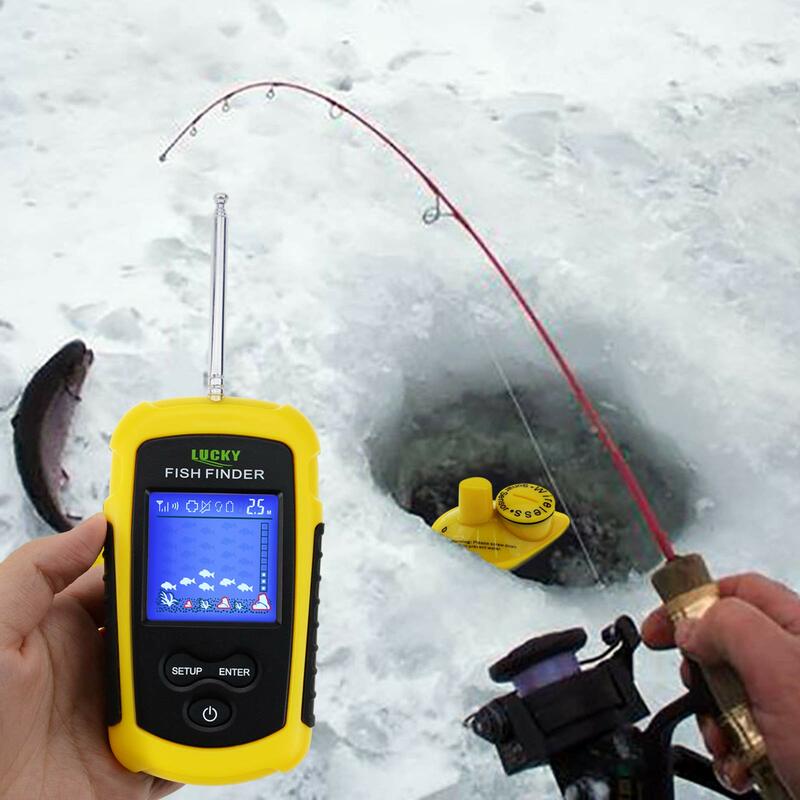 A more contrast and obvious display at nights compared with the other fish finders. 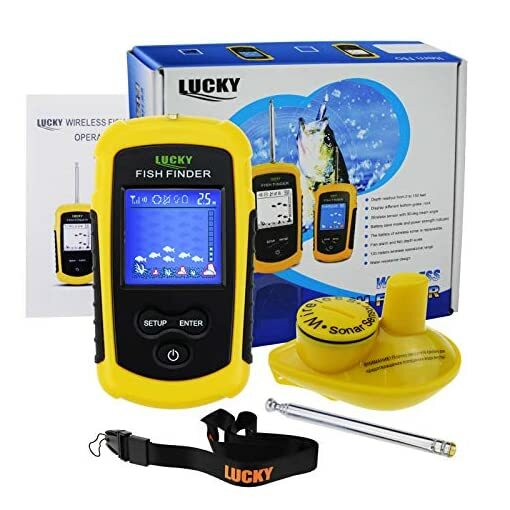 Highly Recommend for Night Fishing. 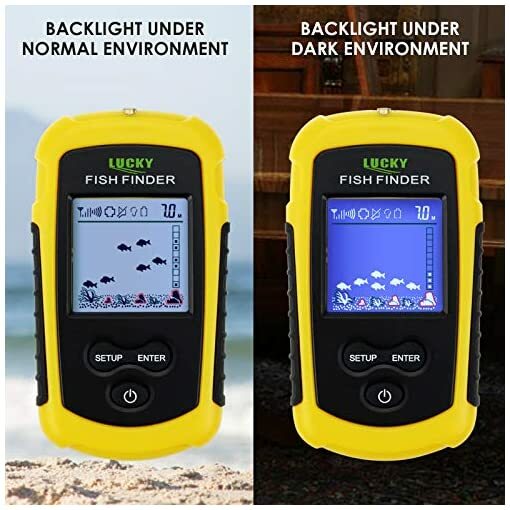 Backlight mode brings Fluorescent Effect on fish icons at night or in dark environment. 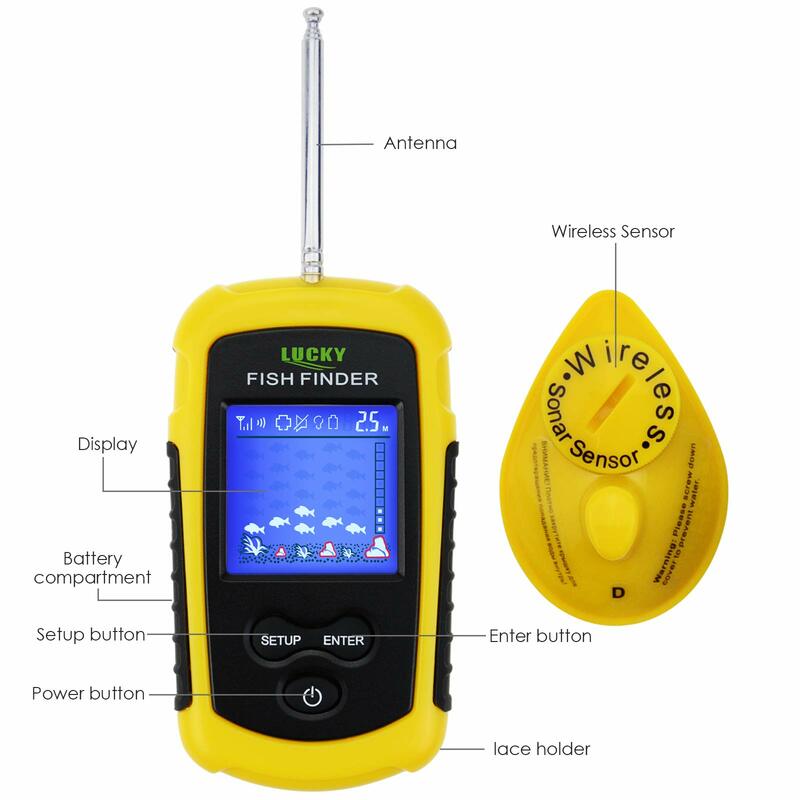 The TN/ Anti-UV LCD also brings clear display during the daytime. With Fish Alarm, Fish icons & Adjustable sensitivity setting- High sensitivity setting shows both Big and Small Fishes.